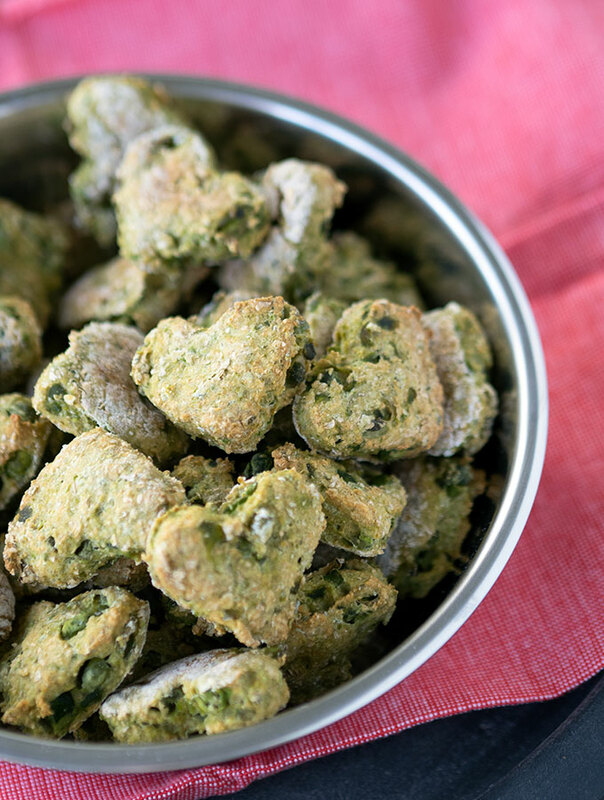 Home » Pea and Rosemary Dog Treats Recipe + Hello Harley! 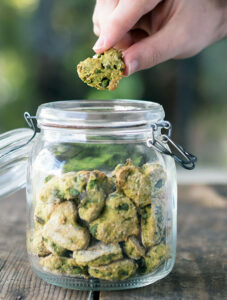 I’m back to baking dog friendly recipes with pea and rosemary dog treats. What a pealicious way to start the ball rolling! Plus they have only four ingredients. You could say they are easy peasy. Long time readers will remember Sally and know it has been a few years since she passed. If you receive our newsletter or follow Belly Rumbles on social media, then you will have the heads up on this announcement over everybody else. Early February there was a new addition to the family in the form of a fluff ball called Harley. 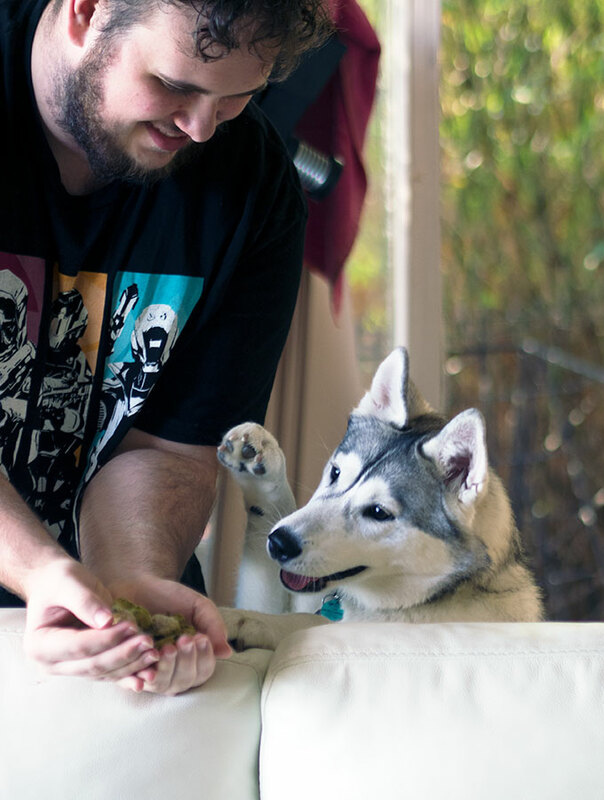 Harley is a loving bundle of husky energy. Extremely social, loves both humans and other dogs, and basks in the attention she gets when we are out and about. To say she is an attention magnet would be understating things hugely. From her daily walks, to being out and about around town, she receives pats and cuddles from strangers, as well as the occasional selfie. A recent venture for lunch ended with a small queue of people wanting cuddles and photos. Minx should be her middle name. Harley has worked out how to undo her seatbelt in the car. Driving down the highway at 70km/hour the other day I got the shock of my life. I thought she was safely belted up on the back seat, then all of a sudden she popped up on the centre console and promptly put the car in neutral! At first I thought the seatbelt escaping incident was an accident. Promptly found out I was wrong on a recent trip to the post office. Calling in to pick up the mail I left the back windows of the car open less than half. Before the emails start coming in about leaving dogs in cars, yes I know. It’s winter here in Australia, and I was gone for less than two minutes, and car was in front of post office. We live in a quiet suburb and luckily her Houdini act was performed at a quiet time of the day. After I stopped freaking out, I spotted her across the road in front of the primary school. There she was, on one side of the fence, with about eight students on the other. One holding her lead, another taking down the phone number on her collar and the rest pampering her with multiple hand rubs and pats. She was in her element, I on the other hand was a neurotic mess. Big thank you to those wonderful kids at OBP! These pea and rosemary dog treats are a sinch to make, they won’t leave you a neurotic mess in the process. Plus they only use four ingredients. I cut mine out with heart shape cookie cutters, but don’t feel you need to be fancy. 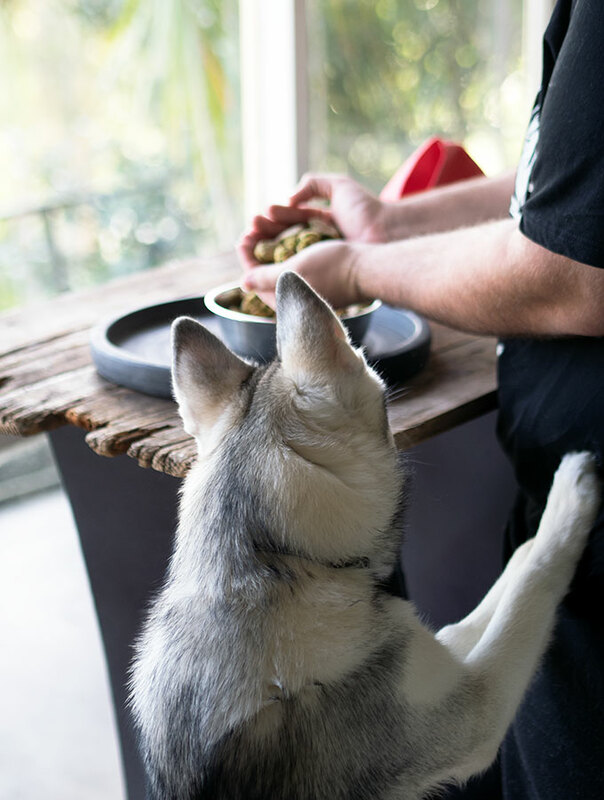 Simply rolling the dough in to balls and press them down to form round cookies will be just as delicious in your dog’s eyes. What did Harley think of the pea and rosemary dog treats? To say she went a little gaga for them would be an understatement. 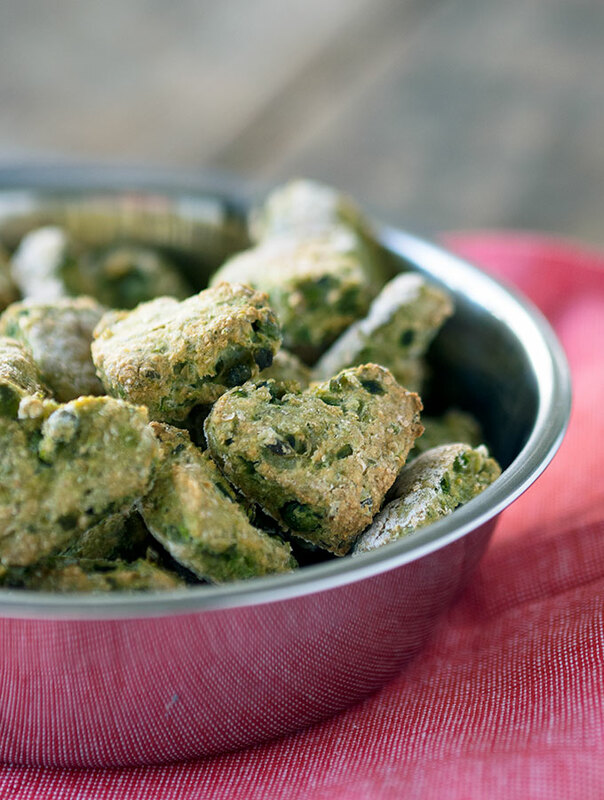 These pea and rosemary dog treats with have your favourite puppy doing back flips. Only 4 ingredients and easy peasy to make. Biltz half the peas with a stick blender or in a bullet blender with the egg. Using a potato masher, mash the remaining peas slightly. The idea is to just break and squish them a little. In a medium size bowl place both lots of peas, flour and rosemary. Mix until well combined. Turn dough out on to a well floured surface and flatten out to 1cm thick (1/4 inch) and cut into desired shapes. Alternatively roll small portions of dough in to rounds, place on lined baking tray, and flatten with fingers or a fork. Once cooked place on a wire rack to cool. Store in an airtight container. If you are interested in following Harley’s antics you can find her on Instagram. We often share stories, like when I was making these cookies and her “gaganess”. « Clooney, Auckland – Yes you do want to eat here! They last up to a week, maybe more. Depends on the humidity of where you live. Oh my God!!! Harley is absolutely adorable and she is such a natural poser. 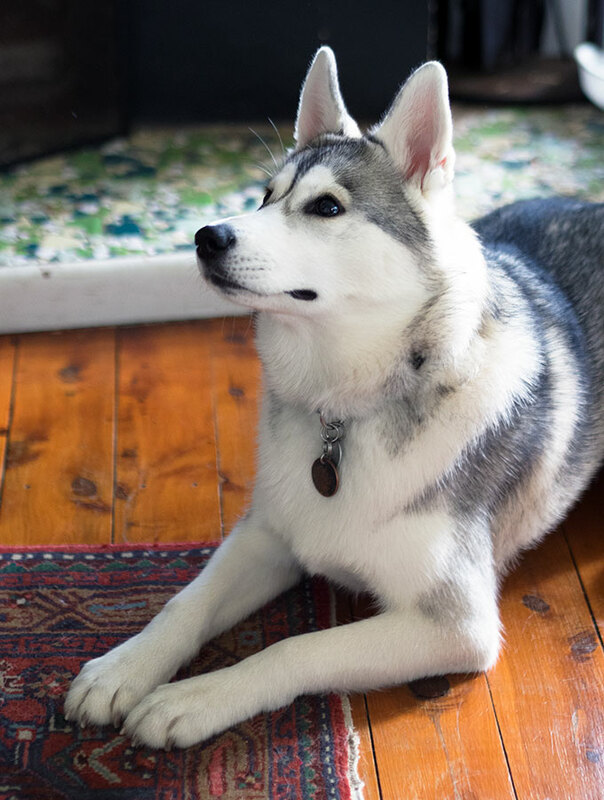 From the looks of it, I am sure she loved the pea and rosemary dog treats that you made her. I think I am surely going to give this one a try for our new puppy. Thanks for the recipe. 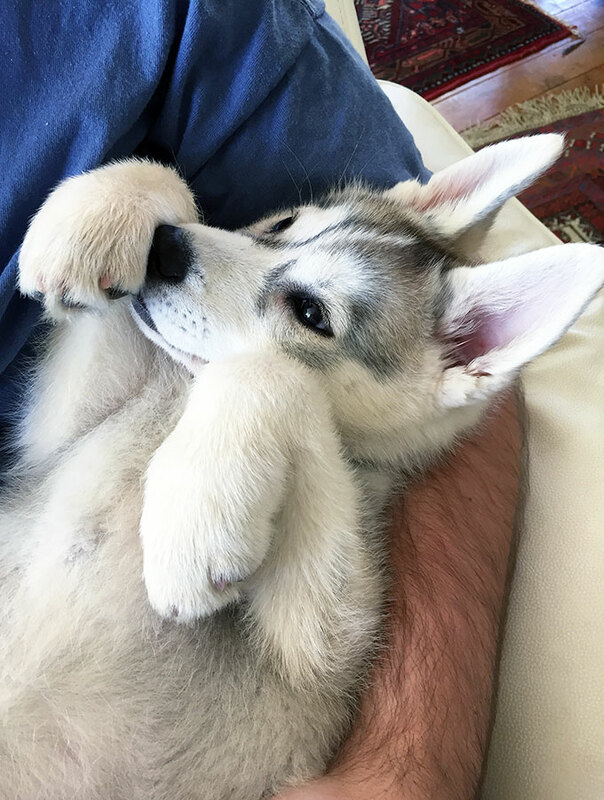 What a beautiful and sweet dog! I could look at more pictures. It is great that you make treats for the sweetie! Harley is cute. I will pass this recipe to my friend and neighbor who has two germane Shepard puppies. I like the idea of less ingredient dog treats. I really should consider making food for my yorkie. I love that this is only 4 ingredients. Awhh! She is so cute! 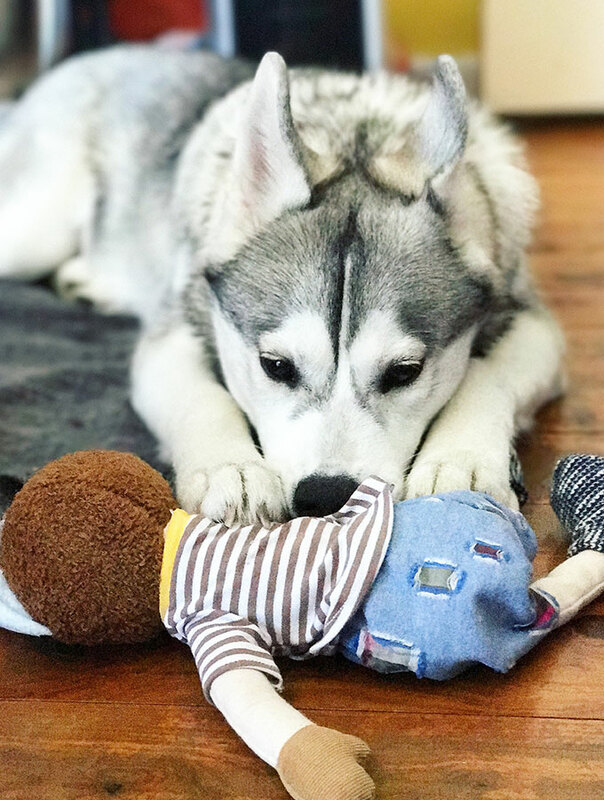 I love that you made a blog for the pups too! I just love this post! Passing it on to my dog-owner friends! This is such a good idea! I’m glad Harley enjoyed these treats! Harley is such a darling! So cute that you make homemade treats! I would love to have a dog as a companion, but at the moment its just not possible. This would be great when I do get one. 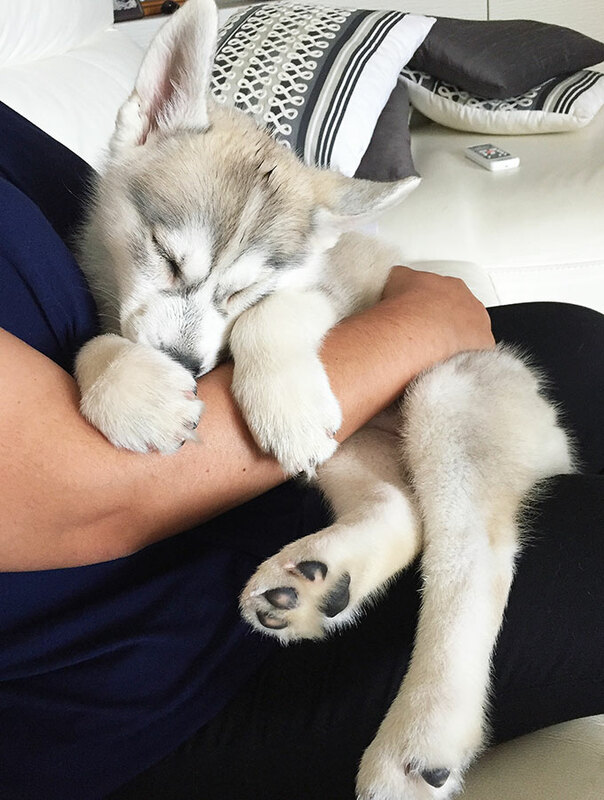 Awww!! Wish i had a dog just so i could make him these!! Will probably make a batch for my friend’s pet soon! Omg this is the cutest thing ever! I’ve been meaning to make my own dog treats for ages so I’m definitely going to try this. I have a little shih-tzu and she’s like my baby! Harley is absolutely beautiful!! And so mischievous by the sounds of it; undoing her seat belt?! Oh my! We just lost our GSD a month ago and I so miss the companionship of a dog. Maybe one day we will be ready for another addition to the family as I miss everything, even when our Poppy was being naughty! I could never stay mad at her cute face!